Ross Van Pelt is an award winning Editorial & Architectural Photographer based out of Cincinnati, Ohio. His portraiture work has appeared in countless local & national publications. Over 25 years shooting for commercial advertising clients. Primary focus is editorial advertising photography, significant & important architecture, food & products. All Images listed herein contain copyright RVP Photography LLC 2019. Dawn M Smith is an architectural, interior design and real estate photographer based out of Xenia, OH. Her work has been published in Dayton Magazine, Home & Design Magazine, HouseTrends and the Xenia Community Guide. RVGP is a photographic and graphic art business with over 50 years of combined experience. Our team of professionals includes Robin Victor Goetz, Master Photographer/Photographic Craftsman and Ginger Goetz, Creative Director. Architectural, interior design and real estate photography services. Parisi Images creates purposeful photography to shape, share and celebrate the stories of your life, business and brand. Specializing in custom photo content and image strategy for small business owners, helps elevate brand stories to engage audiences and customer loyalty. Sarah contributes regularly to Houzz.com, among other publications. In our studio architectural photography is a collaboration. I offer my experience and expertise as a photographer and visual artist always keeping in mind our clients vision and needs. Being able to highlight unique features of homes, buildings and rooms with light painting techniques I have learned in master level classes creates one of a kind imagery for my clients. I use my art and design skills to produce artful, informative images for architects, builders, developers, businesses, and real estate professionals who want to clearly communicate the finest features of their offerings. Architectural Photography services and Fine-Art Photography, Book Publishing. 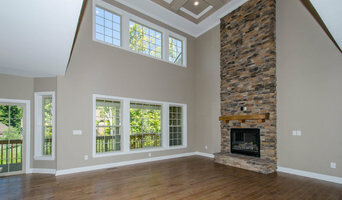 Local photographer who specializes in architectural and real estate photography. I’m an architectural and interiors photographer based in the Dayton, Ohio area. I photograph residential and commercial properties for interior designers, architects and real estate agents all over the Miami Valley. We provide high quality images for our clients to help them sell their property faster. Before you call any potential photographers, make sure they have good references. Friends who've sold or rented homes before are great resources, as are local real estate agents. Look through each Ohio photographer's online portfolio to make sure what you're looking for is being offered. Once you've done that, it's a good idea to walk around your home and write down exactly how many and what types of shots you'll need. Include any specifications you might have, such as angles, things to consider about your home’s West Carrollton City, OH site, the time of day you think will be best and aspects of your home you want to highlight. Find a home photographer on Houzz. Narrow your search in the Professionals section of the website to West Carrollton City, OH photographers. You can also look through West Carrollton City, OH photos by style to find a room you like, then contact the professional who photographed it.